anyone had any luck with these? I should toss this thing and use the one denmah uses huh? update, it was scaled correctly I had miswired it when I cut the harness up. Still pig rich though. anyone wanna take a look at my tune? got it to fire and got a log if anyone wanna take a peek. it bogs and dies when you try and drop it into gear or if you blip the throttle it dies on its way back down to idle rpm. got it to idle without over fueling and even drop into gear without dying. I wont tune anything with that sensor. Seen nothing but problems with them in the past. Have never seen one work correctly except in a duramax. Yes, I keep reading that it lacks resolution at lower kpa...which makes some sense on a diesel engine. 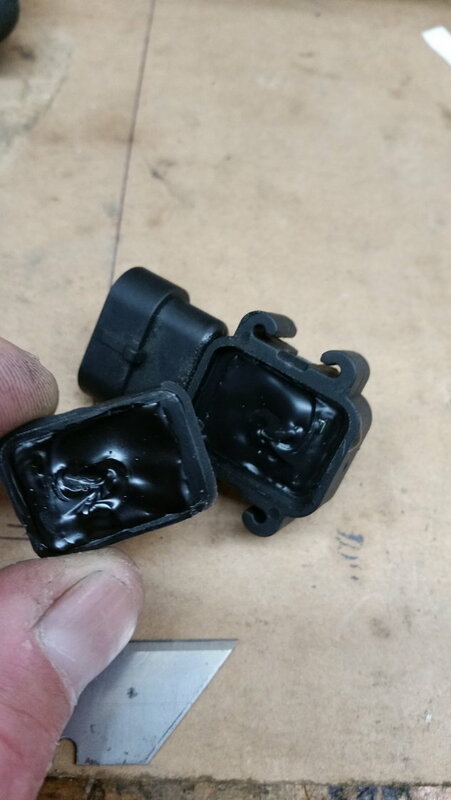 What map sensor have you had the best luck with? I don't really need 3 bar...only going to 10 or so psi with this build. so my advice is don't use the cheap $30 version of this sensor. buy the delphi one if you are gonna use it. I switched to the more common GM 12223861 sensor and it scaled nicely. solid 100kpa at KOnEOff and around 45-50kpa at idle.